There's an old saying: "Everybody loves a mystery." Unfortunately, the rapid development of computers, which is uniting all the world and its acquired knowledge in one vast network, is making mysteries scarcer than hens' teeth. Mutual similarities between many languages and cultures in various parts of the world are becoming more and more apparent. During the 17th century, the famous orientalist Edward Pococke noticed a disturbing similarity between classical Greek and Sanskrit. In his book, India in Greece, he showed that nearly all the place and tribal names of the Greeks had their similar correspondences in Northern India, especially in Afghanistan. The 18th century English scholar, William Jones, discovered the similarity of Sanskrit with many European languages, including Greek and Latin. Godfrey Higgins also supported their views in his two volume work, Anacalypsis. They and other distinguished linguists of the time concluded that non-Africanoid mankind probably originated in India, the Near East, and Siberia. These 17th and 18th century scholars were able to show that place, tribal, and religious names tended to stay the same, no matter how far certain ancient tribes dispersed themselves in different parts of the earth. Later on in the 20th century, in keeping with rising ethnocentrism in the world, many biased scholars tried to discredit the 17th and 18th century pioneers in linguistics, saying that words in one language, sounding alike and having similar meanings in other languages, did not prove that these languages were related. They created a pseudoscience called "Historical Linguistics." For nearly all the last half of the 20th century, these historical linguists held sway over the minds of historians and archeologists, much to the delight of those "noble savages" wanting to think of their respective ethnicities and cultures as "original." Non-diffusionism was in. Diffusionism was out. Diffusionists were labeled as racially biased for wanting to discredit the "noble savages." But not all the "noble savages" sided with the non-diffusionists; they began to feel left out of the human race. Some began to ask, "Did I evolve from a species of ape completely different from the bonomo chimp from whom the rest of mankind descends?" The suspicion that they might somehow not have a common origin with other humans drove many of them to drink and perdition. A favorite superstition of non-diffusionists and historical linguists is the mystery of the origin of the Olmecs. They appear not to notice the nearly exact similarities between the ancient peoples of Uzbekistan, Pakistan, Kashmir, Rajasthan, etc., a part of India called Sivapuri, and the Meso-American Olmecs. I cannot understand or empathize with this type of non-awareness. In ancient Northern India, a religio-political savant was known as Ma-gul, Mo-gul or Ul-mag, which meant "The Great God Ul." The syllables were interchangeable. 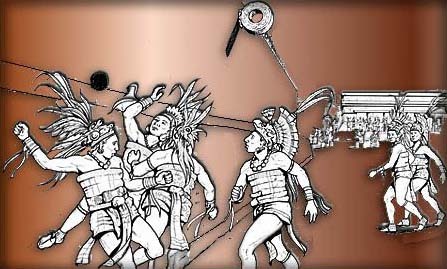 When the non-Africanoid races of mankind left India for other parts of the world, the Ul-mags continued to call themselves Alleman (Germans), Aramean or Aramaic, and Olman, Ulmak or Olmek, in ancient Mexico. It is significant to note that the Phoenician sailor-traders had many names, one of which was Aram (Aramean). The Huichol Indians of Nayarit, Mexico call the port of San Blas Aramara, named after the India-Indian port they left on their voyage to America. Could this account for the name of the Nahuas? The bible mentions that Solomon imported Almug trees from Sophir which was part of the northwestern coast of India: Sauvira. Scholars tell us that the Almug was really the Sandalwood tree. I'm not disputing that, but I am wondering why the Olmecs called the rubber tree Ulama(k). Just as the India-Indian Almug tree was held to be extremely sacred among the ancient Hindus, so also did the Olmecs revere the sacredness of the Ulama(k) tree. A Sanskrit name for a particularly viscous sap is Urj. The Olmecs called the sap of their Ulama(k) tree Olli/Ulli. Olli was regarded as a sacred substance of life, like blood. Often, Olli sounded like Ollin because the Nahua-speaking people tended to nasalize the last syllable. As I have stated, the Olmecs probably could pronounce "R" only as "L." The double "LL" in Spanish is regarded as a separate letter, sounding like Elye or Eljeh, according to the dialect being spoken. For instance, the Argentinians pronounce "Y" plus a vowel, as "J." For that reason, what the ancient Ul-mags or Mo-guls of Afghanistan called Urj, the Olmecs pronounced as Olji/Ulji. Ulama was known as "The Game of Life and Death." It was played in ceremonies symbolizing the creation of the world and the struggle for supremacy between the forces of good and evil; day and night; life and death. The game was so sacred that losers were decapitated. The ruins one of the ancient Southwestern Hohokam ball courts can be seen at the archeological site near Casa Grande, Arizona. 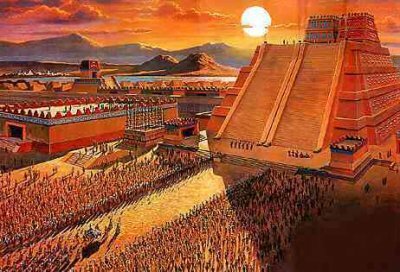 The Hohokam civilization, as well as its buildings, was truly splendid, with great mud-packed buildings several stories high, manmade lagoons, canals, and fields of corn, bean, squash, and chiles. 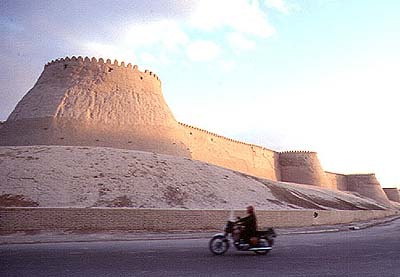 However, its buildings long ago melted back into the earth; its lakes and canals became buried in desert sand. Archeologists in Arizona tell me that Hohokam ruins can be found throughout Southern Arizona, but they usually bury them again after they have been excavated and examined. Noting that Ulama was not just an ordinary game, the Spaniards prohibited it after the Conquista. However, the Spanish fathers in Central and Northern Mexico, as well as those in Southwestern United States, allowed it to exist as a secular sport. Gradually, the game died in popularity, but it is still the favorite game of many Indians and mestizo villagers in Central and Northern Mexico. 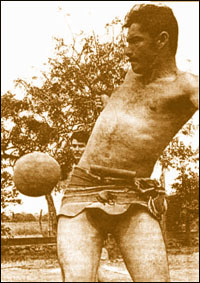 Tourists traveling in Mexico often see this game being played in villages near Mazatlan, such as Escuinapa. Ulama is presently increasing in popularity, promising to again become one of Mexico's favorite national sports.